Annual Exhibition, Royal Scottish Academy, Edinburgh, 1851, no.225. Edinburgh Evening Courant, March 1, 1851, p. 2. The Royal Scottish Academy Exhibitions 1826-1990, vol. I, 1991, p. 407. 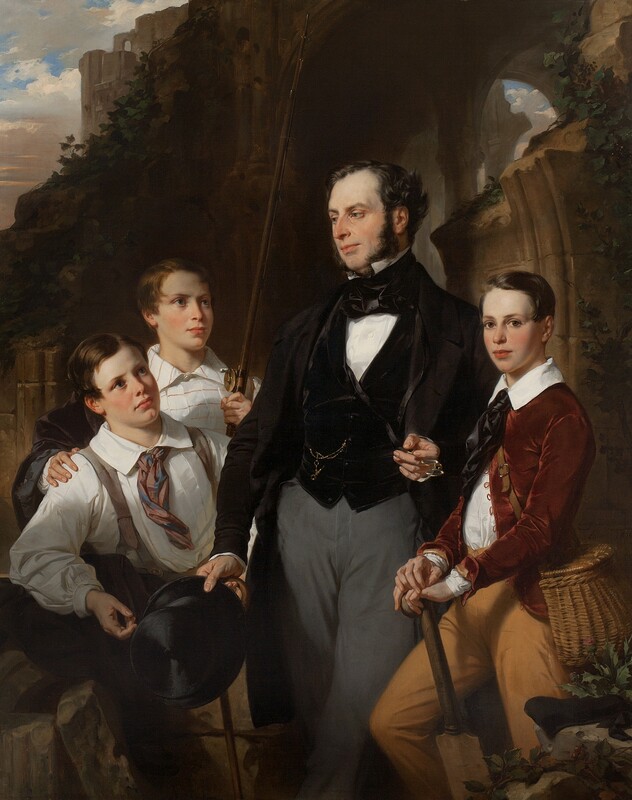 Eugène Devéria: 1805-1865, exhib. cat., Musée des Beaux-Arts de Pau, Pau, 2006, pp. 71, 92-93, 95 and ill. p. 80.
who had studied with Girodet in the 1820s, first exhibited at the Paris Salon in 1824.
churches and for rooms at the Louvre, Versailles and the Palais Royal. in Pau on February 3, 1865. Dundas and Wilson which sold the painting at auction in 1992.
individual and eccentric artist he had become.